Teaching Students to Think Like Scientists using Integrating Concepts in Biology. Select the webinar(s) you would like to attend. Duration of each webinar is 30 minutes, followed by Q&A. Recordings of the webinars will be sent to all registrants. Select a date and time... Tuesday, Oct. 25 .... 4:45pm EDT / 1:45pm PDT [Completed] Wednesday, Oct. 26 .... 4pm EDT / 1pm PDT [Completed] Tuesday, Nov. 1 .... 4pm EDT / 1pm PDT [Completed] Wednesday, Nov. 2 .... 4pm EDT / 1pm PDT [Completed] Tuesday, Nov. 8 .... 4pm EDT / 1pm PDT [Completed] Wednesday, Nov. 9 .... 3pm EDT / 12pm PDT [Completed] Friday, Nov. 11 .... 1:30pm EDT / 10:30am PDT [Completed] I would like to attend but I don't see a time that fits my schedule. I would like to arrange a private webinar for my department. Select a date and time... Thursday, Oct. 27 .... 3pm EDT / 12pm PDT [Completed] Monday, Oct. 31 .... 3pm EDT / 12pm PDT [Complete] Thursday, Nov. 3 .... 3pm EDT / 12pm PDT [Complete] Monday, Nov. 7 .... 3pm EDT / 12pm PDT [Completed] Thursday, Nov. 10 .... 1pm EDT / 10am PDT [Completed] Friday, Nov. 11 .... 3pm EDT / 12pm PDT [Completed] I would like to attend but I don't see a time that fits my schedule. I would like to arrange a private webinar for my department. Select a date and time... Thursday, Oct. 27 .... 5pm EDT / 2pm PDT [Completed] Friday, Oct. 28 .... 5pm EDT / 2pm PDT [Completed] Tuesday, Nov. 1 .... 11am EDT / 8am PDT [Completed] Wednesday, Nov. 2 ... 6pm EDT / 3pm PDT [Completed] Thursday, Nov. 10 .... 5pm EDT / 2pm PDT [Completed] Friday, Nov. 11 .... 11am EDT / 8am PDT [Completed] I would like to attend but I don't see a time that fits my schedule. I would like to arrange a private webinar for my department. These are exciting times for biologists, with rapid changes occurring in all areas of the life sciences, yet undergraduate biology education is still largely geared towards vocabulary and memorization rather than big ideas and critical thinking. In these webinars, we will walk you through a modern approach to teaching the science of biology that incorporates student-centered learning, evidence based pedagogy, and core concepts and competencies. This approach has already significantly improved student learning and proficiency compared to more traditional textbooks. We will introduce you to Integrating Concepts in Biology (ICB), a transformative digital textbook that provides a turn-key solution for implementing this modern approach. ICB better prepares students for further study of biology, for standardized tests such as MCAT and GRE, and for life in an increasingly scientific and technological society. How biology education has evolved to become more effective. How to adopt evidence-based pedagogy for construction of knowledge that maximizes student learning and retention. How ICB content is different from more traditional textbooks. How to implement evidence-based pedagogy for construction of knowledge that maximizes student learning and retention. How to navigate the ICB textbook. How to customize ICB with your own activities and supplementary text. How to use basic math to enhance students' understanding of biological concepts. How to explore bio-math connections using interactive Excel files developed for case studies in ICB. 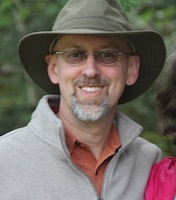 Chris Paradise is Professor of Biology and Environmental Studies at Davidson College. In addition to introductory biology, Paradise teaches ecology, entomology, and several topical seminar courses such as ecotoxicology and renewable natural resources. He is interested in assessment of learning and incorporating evidence-based pedagogy into his courses. ​Laurie Heyer is John T. Kimbrough Professor and Chair of Mathematics and Computer Science. She teaches a course in bioinformatics and a year-long sequence in Calculus and Modeling, with applications in life sciences. She attended the first meeting that produced the Vision and Change report, and has done pioneering work to integrate mathematical modeling in biology teaching and research.